How much is Nick Faldo Worth? 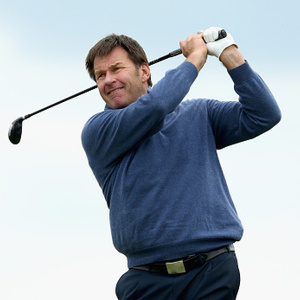 Nick Faldo Net Worth: Nick Faldo is an English professional golfer who has a net worth of $60 million. Nick Faldo is probably most famous for winning three Open Championships and three Masters. 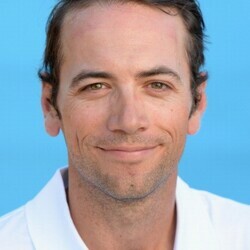 He is also the lead golf analyst for CBS Sports. Born on July 18, 1957 in Welwyn Garden City, Hertfordshire, England, he was inspired to play golf after watching Jack Nicklaus play the 1971. Four years later in 1975, while working as a carpet fitter, Faldo won the English Amateur and the British Youths Championship. He played golf for the University of Houston for one year and turned professional in 1976. Faldo plays on the European Tour and is, as of 2014, mainly an on-air golf analyst. In his day, he was a top player known for his dedication to the game. He was ranked No. 1 on the Official World Golf Ranking for 97 weeks. 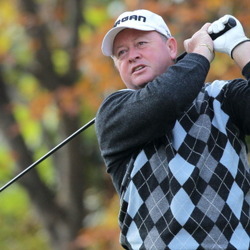 He has had 40 professional wins including 30 victories on the European Tour and six major championships: three Open Championships (1987, 1990, and 1992) and three Masters titles(1989, 1990, and 1996). Faldo has become a television pundit for major golf championships. 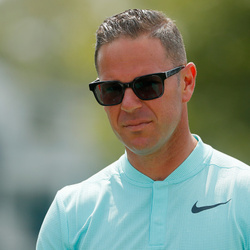 In 2006 he became the lead golf analyst for CBS Sports, and in 2012 joined the BBC Sport on-air team for coverage of the Open Championship.